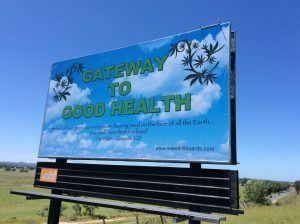 The ACT government may be in a rush to enact legislation legalising cannabis in the territory, but many questions remain. The petitioners request that the Legislative Council calls on the Government to introduce a Bill for the legalisation of recreational cannabis. Ruatoria-based Hikurangi Cannabis Company has had its license amended by the New Zealand Health Ministry this week so it could cultivate 16 new varieties of cannabis, all for medicinal purposes. It’s a plant that has come with links to gangs and violence — but a steady income — for the tiny settlement of Ruatoria. But now, in a place with a high unemployment rate, the community is excited to offer the country’s first legal cannabis course. The National Party is ramping up its opposition to the government’s approach to drug policy with a new shadow portfolio. Pro-marijuana bills introduced to congress used to be largely symbolic — now they have a chance to actually reach the floor of the House and come to a vote. Listing your business on Weedmaps can be free. But if you want top billing, you often have to pay an advertising fee. Pricing for placement “is dynamically determined based on user impressions, market demand, and site activity,” Weedmaps told WIRED last summer. Taft says he paid $20,000 a month for about a year to be listed third from the top on Weedmaps for Santa Ana. “Are you guys still going to be listing illegal businesses?” he asked. The Weedmaps sales rep responded, without hesitation: Yes. 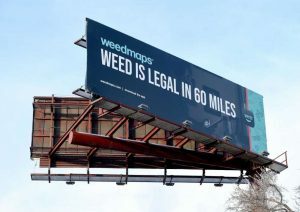 A new billboard put up by the app company Weedmaps on Interstate 91 is announcing that “weed is legal 60 miles away.” The message likely refers to the recent opening of the New England Treatment Access adult-use cannabis sales store in Northampton, Mass. — about an hour’s drive from the New Haven, Connecticut area. Marijuana can be purchased there for recreational and medical use, in accordance with Massachusetts state law. However, Connecticut State Police have reminded residents that recreational pot is still illegal in Connecticut. BudTrader.com, which describes itself as the “largest online cannabis marketplace” and has been dubbed the “Craigslist of weed,” will offer free medical marijuana to government workers who can’t pay because of the shutdown. Despite only legalising recreational cannabis in October, sales of weed in Canada have soared, doubling that of the previous year’s medical marijuana expenditures. In the short three months since legalisation, Canada has become the third largest legal marijuana market in the world according to BDS Statistics. Travellers caught sneaking small amounts of marijuana into Canada could soon be forced to pay fines. Although stiff criminal penalties will remain options on the books, the federal border agency is developing administrative sanctions to give it more flexibility to deal with people who arrive at the border with cannabis in the era of legal recreational use. Today, Hightimes Holding Corp., the parent company of High Times, announced its plan to acquire the assets and business of Spannabis—the European Union’s largest Cannabis industry event. Billed as part trade show and part research conference, Spannabis has plans to return to Barcelona for its 16th edition of the celebration this March. The festival, which also includes its own award ceremony crowning the best cannabis and cannabis-related products in the region, attracts tens of thousands of consumers annually from across the globe. U.S. Virgin Islands Gov. Albert Bryan Jr. has given a new medical marijuana law his stamp of approval, making the territory the latest Caribbean jurisdiction to open its doors to cannabis businesses and potential new tourism opportunities. Luxembourg is in discussion with Canadian authorities about how to proceed in legalising recreational cannabis. The Philippines House of Representatives on Wednesday approved on second reading a bill legalizing and regulating the use of medical marijuana. Tobacco group wary of large investment amid differing regulatory policies worldwide. While some folks claim hemp will save the world, others write it off as a useless product to make hippie bracelets. So here are six common questions about hemp to clear through a bit (though likely not all) of the haze. I understand now the conspiracy of silence around health issues affecting women. Why don’t we talk about a debilitating illness that affects half the world’s population? Why are we so eager to invest billions into male impotence, but stay quiet on menopause? The importance of this research is that we do not know enough. The Hebrew Home at Riverdale, in the Bronx, first launched its “innovative” new cannabis program in 2016. About 10 residents have participated so far, and they have reported that cannabis has helped to lessen the severity of chronic pain and reduce opioid dosages, among other benefits, investigators wrote in a study published in January’s Journal of Post-Acute and Long-Term Care Medicine. The type of pain you want to treat will determine which cannabinoids you want to use. CBS has rejected a Super Bowl television ad calling for the legalization of medical marijuana sponsored by one of the largest cannabis investment companies. A new book about marijuana was released earlier this month. Alex Berenson’s Tell Your Children: The Truth About Marijuana, Mental Illness, and Violence has been met with vocal critiques and admiration, and we here at Points wanted to respond. Emily Dufton’s timely book Grass Roots: The Rise and Fall and Rise of Marijuana in America deftly chronicles the battle over the most popular semi-illegal substance in the US. It is a story of revolution, counter-revolution, pyrrhic victories, and, now, crass opportunism. Above all, it is a cautionary tale about the unintended consequences of myopic zealotry. Dufton interweaves a history of 1960s counterculture with the emergence of marijuana advocacy groups like the well-known National Organization for the Reform of Marijuana Laws (NORML) and lesser-known activists. For three years now, Unharm has been working with Melbourne mother Adriana Buccianti on a petition for pill testing. Incredibly, the petition for pill testing now has about 99,000 supporters. Could you help get to 100,000? Over the years Adriana’s been tireless, doing media and meeting politicians. Now she has an incredible opportunity that’s just come up in NSW this week. The number of people who die from party drugs are lower than other drugs such as heroin, alcohol, and pharmaceuticals, we just don’t hear as much about them. Next year, Oregon voters could decide on a ballot initiative to legalize the medical use of psilocybin and otherwise reduce penalties for possessing and growing mushrooms containing the hallucinogenic compound. According to a new poll, a slim plurality of voters are in favor of the proposal.